Educating in the 21st Century: Why don't students read my comments? Let's be honest, we've all been there! Out of frustration, we've all asked, "Why don't students bother to read the comments we take so much time to write on the assignments we've just marked? There are a range of factors that may impact whether students read all of the comments made about their work, but I believe three factors play a big role. 1. Student view the mark as more important. 2. The feedback isn't timely. 3. Students see no opportunity to demonstrate improvement. I'll go back in time to when I was in high school and learning how to drive. As a student driver I was offered lots of feedback on how I was progressing and what I could do to improve. Much like any teenager, I was highly motivated to learn and knew that it was important to do so in order to pass my road test. 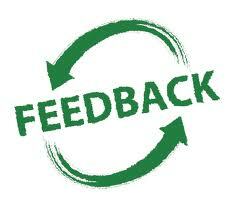 The feedback was descriptive, specific, immediate and all along remained very supportive. Not once was I graded while I was learning and in no way was the feedback provided in a way that seemed judgmental. I always knew the feedback was designed to help me improve and I also knew I had opportunities to demonstrate my improvements. Because the feedback was so immediate, I did everything I could to apply the feedback and make the necessary improvements. Eventually, the day of my road test came up on the calendar. To the best of my ability, I followed all of the evaluator's instructions and executed what was asked of me. When I finished my road test, I anxiously awaited the decision of the evaluator. When he told me the result (and yes, I did pass!) I remember feeling ecstatic yet relieved. I know the evaluator offered a number of comments about my driving, however, as much as I am ashamed to admit it, at that moment I didn't really listen too closely to his comments. Why not? For starters, my focus on the result overshadowed all of his comments. Second, because the evaluator's comments came at the conclusion of my road test, they weren't as helpful as they could have been if he provided them throughout the test. Third, I knew that my road test was complete and I wouldn't have to, nor would I be afforded the opportunity to demonstrate improvements based on his suggestions. So, let's bring this back to our students who seemingly can't be bothered to read our comments. The problem probably doesn't lie in our comments themselves. In fact, on their own our comments would probably be very helpful and offer great suggestions for improvement. The problem likely lies in the fact that the work was 'marked'! The mark signifies that a judgment was made about their work and overshadows the importance of the feedback. How can we blame students for focussing on the 'mark' rather than the comments when we have made a judgment about their work? Assigning a mark also indicates a certain degree of finality. If students believe they no longer have an opportunity to demonstrate improvement, what incentive and motivation do they have to read the comments? Our students viewed all the valuable comments we've taken the time to write as little more than a justification for the mark we assigned. Why do we too often wait until the end of an assignment to provide the suggestions that students could use to improve their work? So, what is the purpose of feedback? Feedback should tell students what and how they can improve in their learning. It must be formative. The types of feedback offered by a teacher will differ based on the subject and learning task it pertains to. It might consist of suggestions on how to improve a draft of a written submission, point out how to correct a mathematical process, how to place one's fingers in order to play a note more clearly, etc. And what can we do to increase the effectiveness of our feedback? In order for students to act on our feedback, it must be timely. Feedback, being formative in nature, must be consistently provided during the process of learning so that students can incorporate the suggestions into their work and into their ongoing practice. Regardless of the type of feedback, what's crucial is that students be provided the opportunity to apply the feedback to their work. This means that a mark should not accompany feedback. Feedback must precede the mark. This tells students that the feedback is designed to help them improve their work before a judgment is made. Students should not be penalized in the gradebook for errors they make while learning. We must provide opportunities for practice without penalty! I love the analogy of learning to drive - it really helps to describe the power of feedback. I also wonder how much more powerful verbal feedback is than written. Perhaps the time taken to conference with a student sends a message of importance as well as allowing the student to seek clarification. Well said, Aaron. The fact of the matter is that students are left in the dark about their learning and their part in it if we fail to give timely, positive, and descriptive feedback before they are evaluated. Another key point in your piece, as it related to your driving test, and any other "real-world" learning situation, is that the process of evaluation was explicitly such. There should be no surprise about when, how, and on what evaluation will occur when it does. "Practice without penalty" would be a great mantra for teachers to live by, and to imbue in their students. When I first go through an assignment, I offer a lot of feedback. The students then have to provide me with a multi-paragraph (1-2 sentence paragraphs) paper on how they will take my feedback into account for the revision they will then write. They then write their revision of the assignment. They must hand in all three documents: their first draft, their comment on how they will revise their first draft, and their revised draft. The revised draft then receives the mark. This process allows for formative assessment but makes the students accountable for using that to actually improve their product. I have found this approach has helped students improve faster and to a greater extent than just offering formative assessment and then allowing them a re-write.